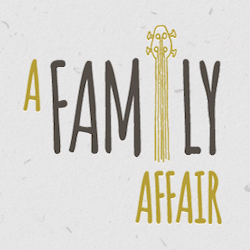 A Family Affair is the story of Gerry Siegal and Sally Nathan, a young suburban Chicago couple who decide to get married. Alfie, Sally's guardian and uncle, wants a small, intimate wedding while Tilly, Gerry's strong-willed mother, want a large, grand wedding. Soon, a marital World War III starts between the two families. Eventually, Gerry and Sally realize that their families have almost destroyed the wedding with their bickering. Finally, they decide to just have a quiet family affair and all is well.